If you were sitting on the fence before deciding to buy a new Chevy Volt, you may have made the right move. 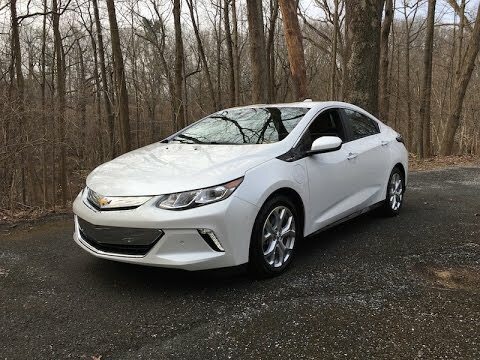 The all-new 2016 Chevrolet Volt is quieter, more powerful, quicker, better to drive, gets even better fuel economy, and can go farther on a charge. It can even seat five people. So, now what are you waiting for? I owned a first generation Volt and now own a second generation Volt. I've been impressed with and love driving them both. Great pick up, very quiet, smooth ride, seats are comfortable even when making a 12 hour drive and fantastic safety features, backup camera, cross traffic alert. I get 50-56 miles to a charge and it has a 9 gallon gas tank. Fabulous feature in the second generation is the ability to put the electric on "hold" and drive in "gas mode". Downside is Chevy removed the Homelink feature (built in garage door opener) however in the 2019 its now an option the buyer has to pay for. I love driving an electric vehicle that I will never get stranded in, unless of course I'm not paying attention to the gas gauge. I am just about ready for my 3rd Volt purchase! So much fun and you are going to forget how to fill the gas tank! Absolutely the best car I have ever owned. So much fun to drive and my daily commutes are 100% without ever using gasoline. 95% or better of my overall travels are all electric. With only longer trips using petrol, but the car still manages to get close to 45 MPG even on the longer excursions. LOVE IT! It's hybrid so it runs on gas as well as electricity. This is so convenient. Most trips I don't even have to use gas. It is a hybrid car, which is great on gas mileage. It is the perfect size. The air conditioning isn't the best but it isn't horrible. The size of the vehicle really only fits 4 people, barely 5 which kind of bugs me. But overall it's a great car. 2016 Chevy Volt Review - Can It Go 53 Electric Miles? General Motors LLC (GM) is recalling certain 2015-2016 GMC Canyon and Chevrolet Colorado, and 2016 Chevrolet Volt vehicles. The driver's frontal air bag may improperly inflate during second-stage deployment in the event of a high speed crash. An improperly inflated air bag increases the risk of injury in a crash. GM will notify owners, and dealers will replace the driver's frontal air bag module, free of charge. The recall is expected to begin November 10, 2017. Owners may contact Chevrolet customer service at 1-800-222-1020, or GMC customer service at 1-800-462-8782. GM's number for this recall is 17387.